check in 1 pm, check out 12 am. The apartments in hotel-like regime offer an apportunity for cheap accommodation, comparing to the hotels and pensions in Bicharest. Our accommodation services in Bucharest represent the suitable alternative for both tourists and businessmen. 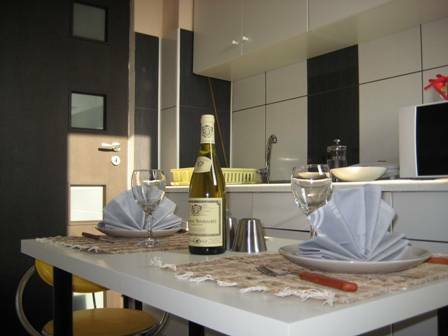 Accomodation in Apartments-to- Let represents an alternative to the hotels in Bucharest. The apartments are roomier and more confortable and they are fully equipped. The Apartments in hotel-like regime are positioned in central areas, offering you a very attractive report between quality and price. The locations are safe, ultra-central, fully furnished inside and modernly equipped, endowed to offer our customers the whole confort of their own home. 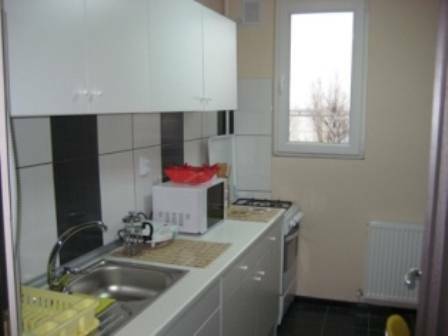 thel apartment are placed in the central area of Bucharest, just a few steps from most of tourism objectives, clubs, restaurants, etc. Our price is almost 50% lower the hotel's price …. We will provide you with all the information you might need to see everything in our city, either if you want to visit the historical sites, experience our cultural events or want to party in a great club, we will help you to find the right place. Our Mission is to provide high quality apartment and services in such way that every customer will find each apartment like a second home. .……Well-placed in a lovely area and in a nice apartament , it offers easy access to every interest location: bars, posh restaurants, banks useful public transportation routes. Parc….